Awards: Conde Nast Traveller ‘one of the 65 coolest hotels in the world’; Best Interior Design, Scottish Architecture and Design Awards 2007; Scottish Boutique Hotel of the Year (Highly Commended) 2007; Sexiest Hotel, Scottish Hotel Awards 2009. Tigerlily is a Boutique Hotel with restaurants, bars and a nightclub, Lulu, within a converted town house in the centre of Edinburgh’s Georgian New Town. 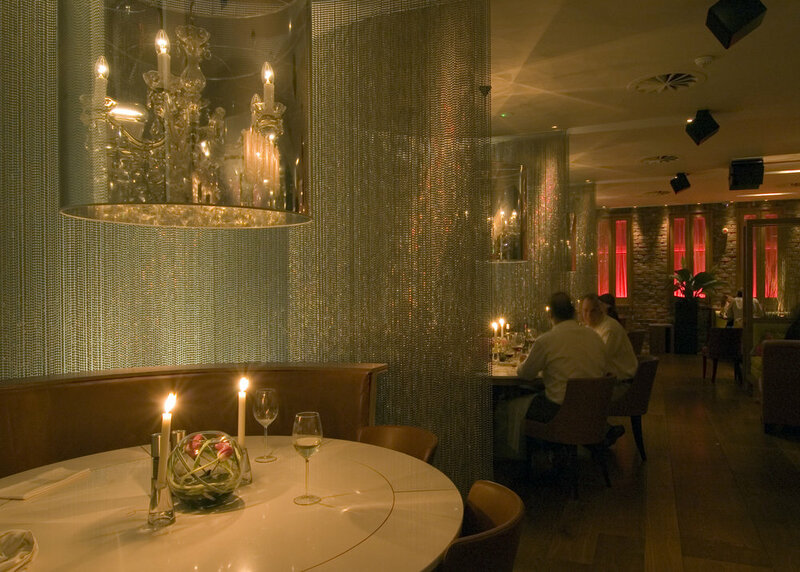 Graven Images created a stylish and unique interior within the historic listed building. The reception, bars and restaurants follow an open plan format on the ground floor. The front bar has a large glass feature ‘cloud’ chandelier of blown glass. Lighting is used to define different areas and circulation zones on the ground floor, and create a variety of looks and atmospheres. The main stairwell up to the guestroom floors is an important feature within the hotel. Giant mirror balls lit with theatre style luminaires create the ‘wow factor’ desired by the client.